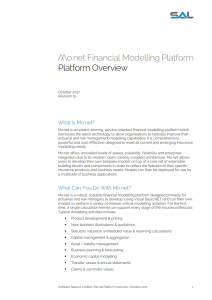 Find out what's new in the latest major version of the award-winning financial modelling platform. 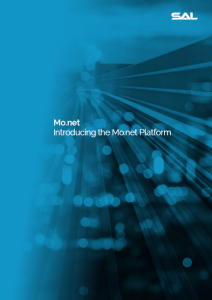 With a range of new platform components and a myriad of new features, Mo.net 7 is the only tool needed to power the next generation of end-to-end insurance modelling. Insurers are failing to maximise their investments in financial modelling. This paper outlines ways in which existing models can be used to support other business applications outside of the actuarial reporting environment, and unlock significant cost & efficiency benefits. 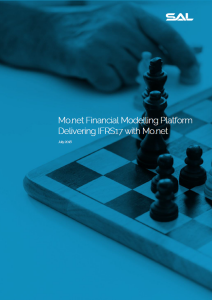 Understand how adoption of the Mo.net Financial Modelling Platform can accelerate the delivery of your IFRS 17 plans. 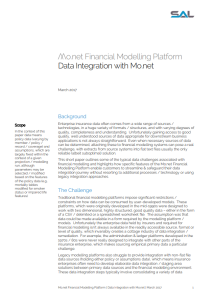 This short paper outlines some of the typical data challenges associated with financial modelling and highlights how specific features of the Mo.net Financial Modelling Platform enable customers to streamline & safeguard their data integration journey without resorting to additional processes / technology or using legacy integration approaches. 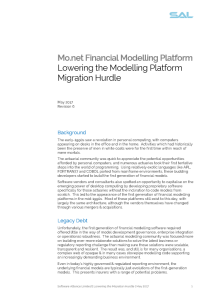 This paper details some of the barriers associated with the migration of financial models between modelling platforms, and challenges the commonly perceived idea that model migrations can never be justified. 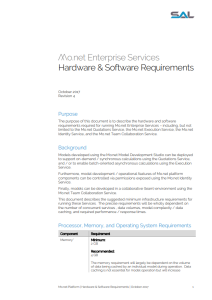 The paper outlines how some key features of the Mo.net platform make model migrations not only a possibility, but potentially a worthwhile endeavour. This paper details some of the alternative approaches to traditional workload distribution and reviews its appropriateness for the life modelling requirements of today and tomorrow. 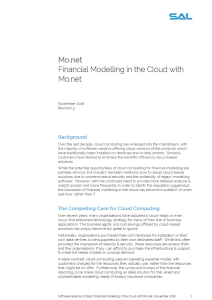 This paper highlights the compelling cases and opputunities for using Cloud Computing within Financial Modelling. 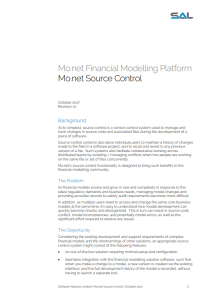 Mo.net is an award-winning service-oriented financial modelling platform which harnesses the latest technology to allow organisations to radically improve their actuarial & risk management modelling capabilities. 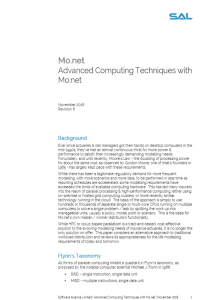 This datasheet provides an overview of Mo.net and the core components of the platform. 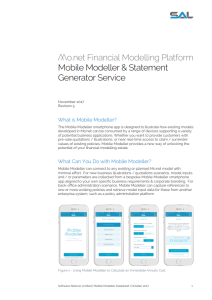 The Mobile Modeller app is designed to illustrate how any user developed Mo.net model can be published to the Mo.net Quotations Service and called directly from a dedicated smartphone client. The app itself can easily be customised to use corporate branding and capture additional parameters as required. 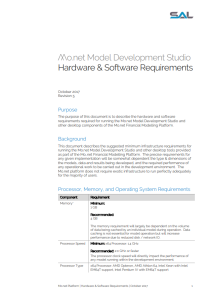 This datasheet summarises the hardware and software requirements needed to run the Mo.net Model Development Studio. 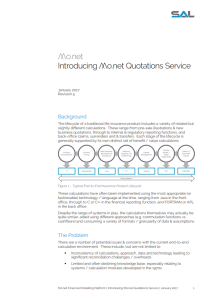 This datasheet summarises the hardware and software requirements needed to run the Quotations, Execution and Team Collaboration Services. 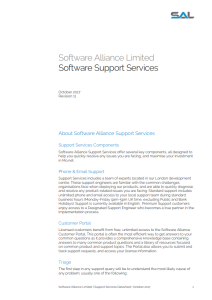 This datasheet outlines the range of available support services available from Software Alliance when you purchase the Mo.net platform.